The Government is advancing its plans for trials of self-driving vehicles, which could see testing start on public roads by the end of this year. 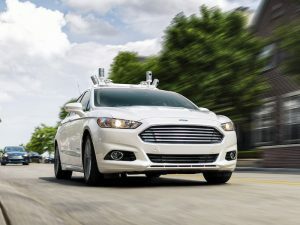 The current commitment is to have fully self-driving vehicles on UK roads by 2021, as part of the modern Industrial Strategy, but the Government said it’s looking to move forward and is developing a process to support advanced trials of automated vehicles as it seeks to cement its position as a world leader in automated vehicle trials. The current ‘code of practice’, first published in 2015, makes clear that automated vehicle trials are possible on any UK road provided they are compliant with UK law – including testing with a remote driver. An update to the code is now being developed that could see this requirement be removed. In a statement, the Department for Transport said it “acknowledges the growing desire of industry to conduct more advanced trials”, and added that “a process to handle such trials on public roads is now being developed”. It added that under the strengthened code, those carrying out trials for automated vehicles will be expected to publish safety information, trial performance reports and to carry out risks assessments before conducting a trial. Trialling organisations are also expected to inform the relevant authorities, emergency services, and anyone who might be affected by trial activity.